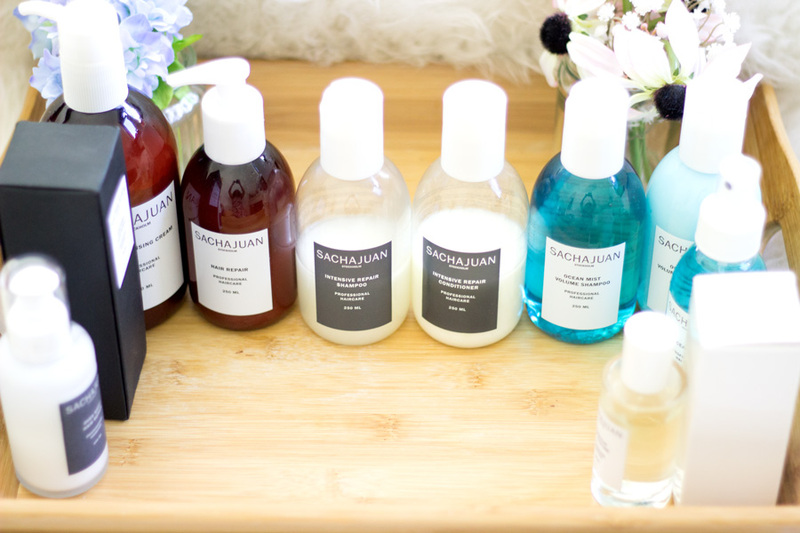 If you are a regular reader of my blog, you'd know that Sachajuan is one of my favourite hair care brands especially their Intense Repair range. 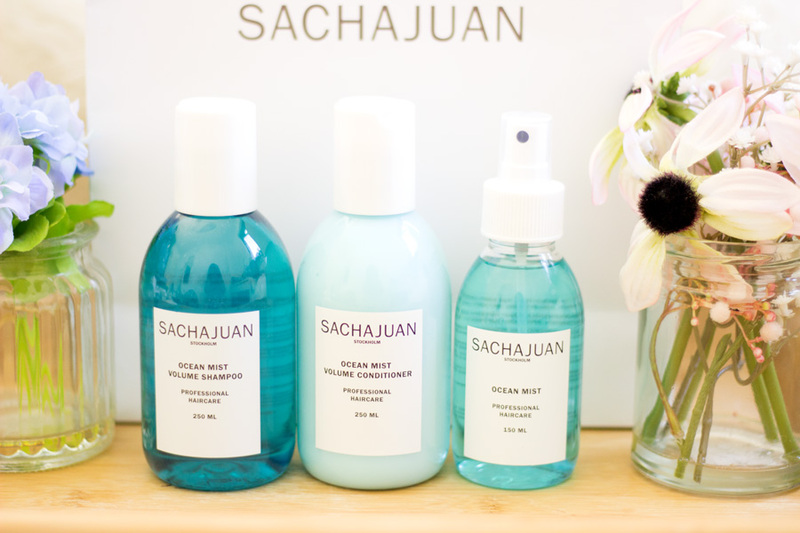 I have a full review of all my Sachajuan range over here and I highly recommend checking it out. I have always heard about the Ocean Mist range and I really wanted to try it out. A lovely opportunity came when the amazing folks at Mark McDonald Consultancy (MMCL) invited me to the Sachajuan Pro Hair Care Event which I have written about over here. It was an amazing event as we were taught how to create the Undone Bun and Pro Blow Dry. I was kindly gifted the Ocean Mist range and I could not wait to put it to the test. 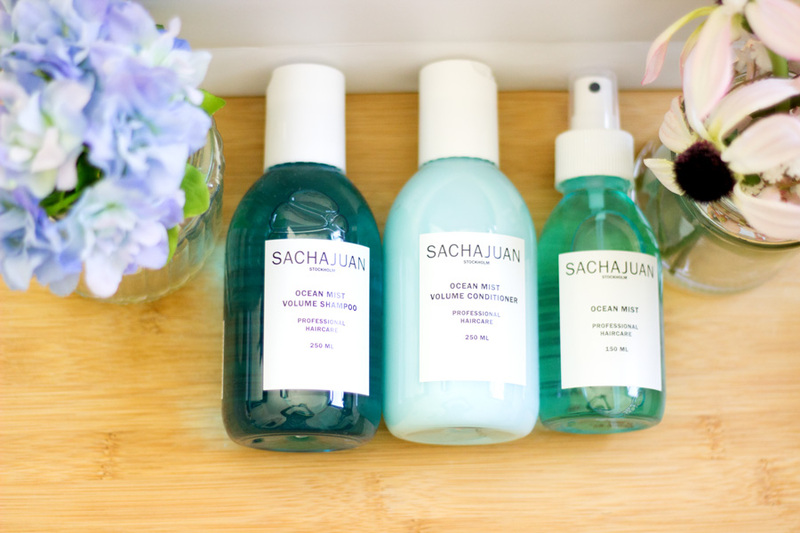 I received the Sachajuan Ocean Mist Volume Shampoo*, Sachajuan Ocean Mist Volume Conditioner*, Sachajuan Ocean Mist Spray* and the Sachajuan Hair Repair*. I am actually halfway through the shampoo and conditioner as it's been all I have been using in the past month or so. I took these photos when they were still fresh looking. I have previously used the Sachajuan HJair Repair and you can read a more in depth review about it over here. For this post, I will just focus on the Ocean Mist range. I don't remember ever owning a blue shampoo and I fell in love with this shampoo just from its appearance. The blue colour reminds me of the unique blue colour of the ocean. I love the simplistic yet aesthetically pleasing packaging and I find it really easy to use in the bathroom. 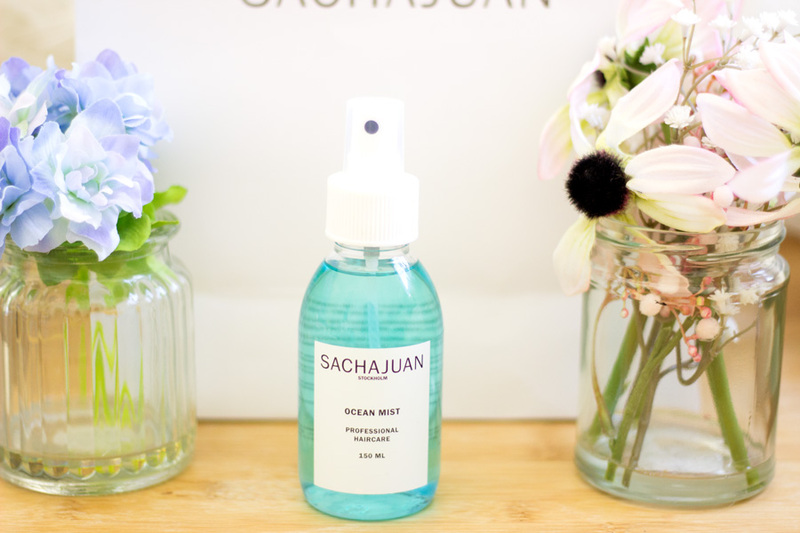 Just like many other Sachajuan Hair Care products, the Ocean Mist Volume Shampoo is enriched with the unique Sachajuan Ocean Silk Technology. It also has natural vegetable proteins which help give the hair structure, volume and strength. I absolutely adore using this on my natural hair and I also use it on my hair extensions. It really does leave my hair clean especially if I have been using loads of products over the week. It is not sulfate-free however I do have to say it is one of the few shampoos (which are not sulfate-free) that does not leave my hair stripped. It is a really good all rounder shampoo because it adds volume, cleans the hair and maintains the hair's natural lustre. If you are after a shampoo that will get rid of any product build up and dirt, I would highly recommend this. The best part is it smells so beautiful like you have been playing in the ocean and this really draws me back to using it. I had nothing but high hopes for the Ocean Mist Volume Conditioner (especially after being impressed with the shampoo) and I was not disappointed. The Ocean Mist Volume Conditioner has also been developed using the Ocean Silk Technology and is further enriched with natural vegetable proteins. I am a huge fan of conditioners because they can be used to co-wash as well as condition the hair. I love the way it makes my hair feel and it also has some nourishing properties. Of course, it smells really good but that's a given with Sachajuan products. As a conditioner, I tend to leave it on for quite a good while because my Afro tends to get dry and needs a lot of moisture and hydration. I leave it on for 10 minutes or some more depending on how I feel. As a co-wash, I just use it like I would a shampoo and my hair still feels very clean. I always take the time to detangle my hair while I use it because it is really good at this. It adds that extra volume to my hair and it rinses out well without weighing my hair down at all. This is basically the product I really wanted to try because I'd heard so many good things about. There was a time I was seeing the Ocean Mist in every review both on blogs and YouTube videos and I was super curious. You can imagine how delighted I was to finally try it. The Ocean Mist is a leave in spray with a formula that mimics a beach kissed feel (aka beach kissed waves). It is designed to give the hair a natural twist and volume similar to the one you get after a lovely day at the sea. It can be used on wet or dry hair. I am huge on using leave in sprays for loose waves on my extensions and I have been enjoying trying it out. I prefer to use it on dry hair and I spritz it all over and then go back section by section. I recently had some loose waves on my hair and I used the Ocean Mist first and then added some loose waves with my Babyliss curling wand. Honestly, my waves looked so lush, had a beautiful lustre and bounce to them. I was so surprised because I had not quite experienced that with other mists so I am very impressed. The best part is that the Ocean Mist is really helpful in refreshing previous days' waves or curls (I just spritz and scrunch it up). I really like that it does not weigh my hair down at all even when I reapply after the first day. Now, I know why this a favourite for any people and it's totally worth the hype. 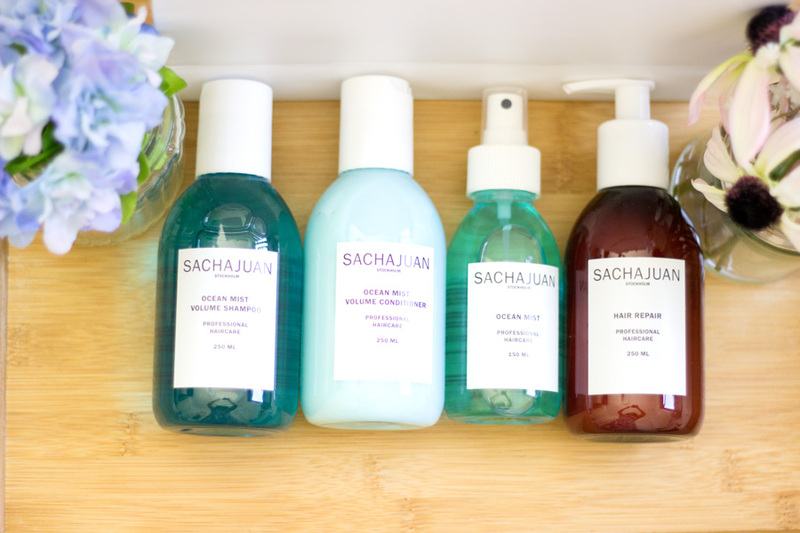 I believe Sachajuan products can mainly be purchased online and there are quite a few retailers that stock them. Of course you can purchase directly from the Sachajuan website. Other retailers include Cult Beauty, Beauty Bay, Feel Unique, etc. I always look out for discount codes to make some savings so do check online if you are looking to purchase some products from the range. 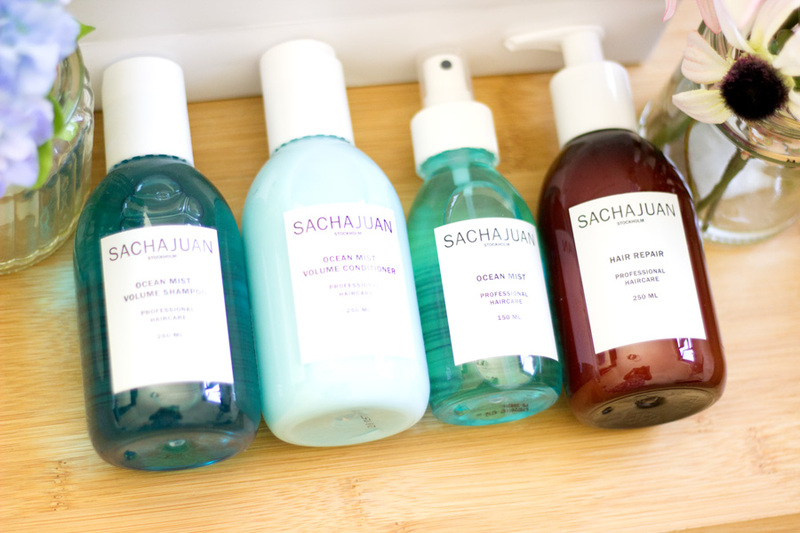 I have been using Sachajuan Hair Care for slightly more than a year now and I absolutely adore them. 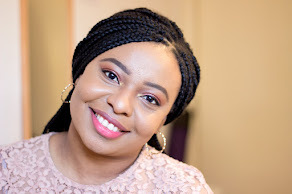 I love the brand and I have never used any product within the range that let me down and I have really enjoyed using the Ocean Mist range which is one of their best selling ranges. If you really want to try just one product, I would highly recommend trying out the Ocean Mist. Massive thanks to MMCL for introducing me to such lovely brands and gifting me products from them. I hope you enjoyed this review. 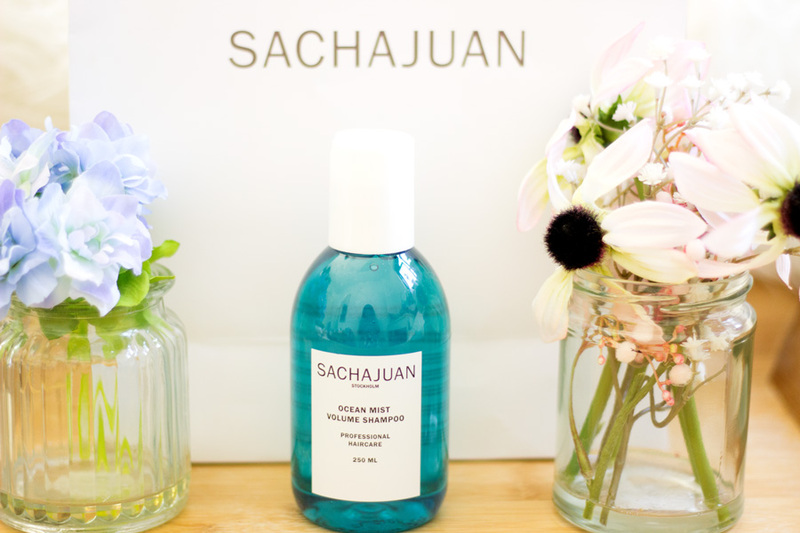 Have you tried the Sachajuan Ocean Mist Range?